A good contract is vital for your profits, as it defines what your customers can expect from your services, as well as what you will get from them. Unfortunately, drafting one is time-consuming, and it can be hard to know what to include. Contracts are important, though, because while many small businesses feel they should work on trust, the results can be disastrous. Getting your terms and expectations fixed in print is the only way to guarantee profitable and reliable outcomes. Below, we’ll look at five key steps to help you to create and agree contracts that are profitable for both you and your client. Let’s have a look! Before you start writing, you need to understand the basics of the legal system you’re working within. If you don’t (i.e. you write a contract that goes against the law), it’ll be invalid, and you won’t get the profits and protection you were hoping for. Each state has its own legal system, and this can make life complicated – particularly when you and your clients live in different states. In such a case, you’ll have to specify in your contract which state laws the contract falls under, and which will apply in case of dispute. FindLaw has a useful list of state laws divided into topics such as criminal laws, family law, statutes of limitations, and business and employment laws to peruse. This also gives you the chance to compare state legal systems – it’s possible the law in your client’s state would be more profitable to you in a particular situation, so it’s always worth checking. Should you be trading internationally, the UNBISnet website also has a comprehensive listing of law-related topics – the relevant search term would likely be “international trade law”. Timeline: Remember to include the date that the contract comes into force. Contract length: Here, include the length of the contract duration and the expiration date (if there is one). Termination: If there isn’t a definite end to the contract, the process for terminating it should be made clear. In addition, any actions that would cause the contract to terminate should be spelled out. Signatories: For this, include the full legal names of the parties to the contract. Payment terms: Set not just the final cost, but any interim or incremental payments and the period – as well as how you accept payment, and whether tax is included or excluded. Signature and date: Both you and your client must sign the document to give it legal force. You can do this online by enabling RightSignature on your Bidsketch account. Intellectual rights: Clarify who retains intellectual ownership of your service; for example, if you hold a patent or copyright, ensure you aren’t giving this away. You should also make sure your contracts set out everyone’s responsibilities clearly – along with the process itself, should any changes or troubleshooting be required. The scope of work is an important element of the contract that states what you are agreeing to do for the client, and any actions needed to complete the work. It’s essential to know exactly what you are expected to provide to ensure profitability. You should include all of the basic elements from step two in this, plus essential information such as the project objective, quality requirements, deliverables, and any important assumptions (such as who the key contacts are and who is responsible for signing off the work). In a long project, you can include key milestones here so you and your client are clear about what’s due when. You might also want to consider setting up a retainer agreement if you’re working for someone long term, to ensure a regular flow of work. It’s also good in this segment to set out what would constitute an acceptable and/or substandard product or service. This means that when you get to the end of the project, it will be perfectly clear whether you’ve done your job to your client’s satisfaction. Using the right language in a contract is very important. You don’t want to use any ambiguous terms or words with double meanings that could be disputed and lead to profit-eating claims. The best idea is to keep it simple, and don’t introduce unclear or legalistic terms “because it’s a contract”. That means no “whoms” or “whomsoevers”, or “thuslys”. What you write should be crystal clear and objective, whatever your style. Whether you call it a contract, an agreement, or a proposal, it needs to be easy to understand to have any legal force. It’s worth checking out sample contracts – google “sample contracts” to find templates – there’s even a link to one in this previous Bidsketch post on design contracts. 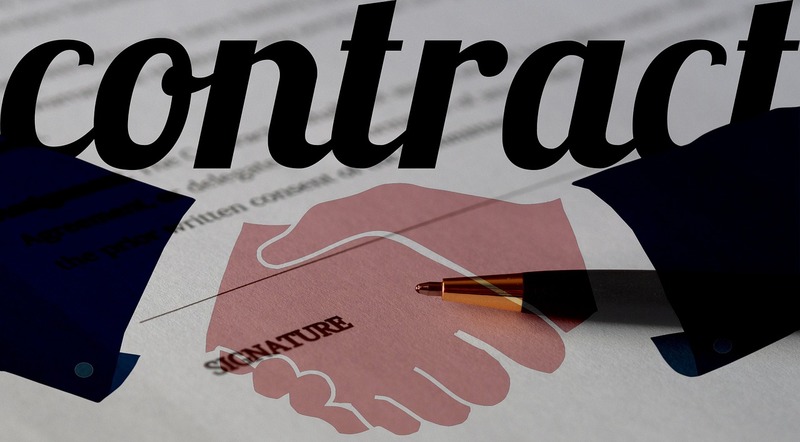 If you need to write a lot of similar contracts for the same kinds of work, it would be useful to have an attorney write a boilerplate contract, or at least look over what you’ve written to make sure it’s legally acceptable. One good (and legally sound) example is the free Bidsketch web designer contract, which can be customized for your individual use. It’s in two parts, one going over business terms in simple language, and the other containing the legal terms. Is it deliverable? Determine whether you can do everything the client requires of you, and deliver all the desired outcomes. Then list what you understand the requirements and outcomes to be, and ask the client to agree these in writing. Does it match our skillset? Clarify that what the client wants is within the reach of your company’s expertise, and whether you might need to hire in (expensive) outside help. Check with your staff to ensure you’ve got the capability required in house. Does the price match the effort? Work out how much time and effort you’ll need to put in to achieve what the client wants (this is where a clear scope of work is invaluable). While much of the hard work will have been done at the contract creation stage, analyzing the final result before letting it loose is no less crucial – especially if you uncover a particular sticking point before it gets to the client. The mere mention of contracts can make even the most hardened client’s hair stand on end. However, don’t worry about introducing them. Any reasonable client will understand that it not only protects you, but also looks after their best interests too. Make sure you understand any relevant state or federal laws. Ensure your contract contains the key basic elements. Set a clear scope of work. Use clear, simple, and unambiguous language. Check that you can deliver what the client wants, it’s within your company’s skillset, and you are covering all your costs. Do you have any other contract terms you think are important? Let us know in the comments section below!